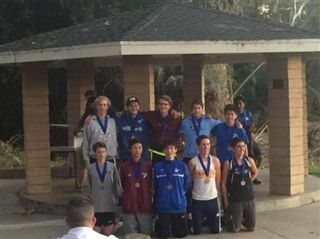 Congratulations to the Coed Varsity Cross Country team on an impressive showing at the Coastal League Finals at Kit Carson Park on November 13th. The boys placed 4th out of 12 teams and the girls finished in 5th place out of 9 teams. Many of the Firebird runners set personal records, seniors Travis Headapohl and Thomas Peterschmidt medaled in the Varsity race, and Bryce Snodgrass and Lenny McCline medaled in the JV race.